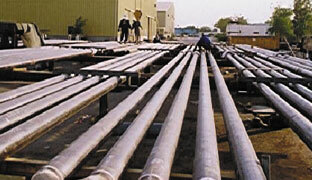 Olayan Descon was established in 1981 in the Industrial City of Jubail as a strategic joint venture with Descon Engineering Ltd., a leading Pakistani EPC company. 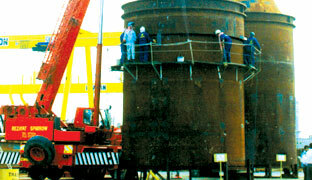 Today, the enterprise known as Olayan Descon is comprised of Olayan Descon Industrial Company Ltd. (ODICO) and Olayan Descon Engineering Company Ltd. (ODECO) having key Mechanical, Instrument, & Electrical services as construction, maintenance, shutdown turnaround, retrofit revamps for Industrial plants and manufacturing of Static Equipment e.g. 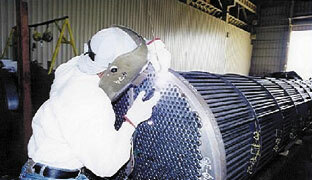 pressure vessels, heat exchangers, tanks, skids, flare tips etc. Olayan Descon’s capabilities combined with a diversified and rich experience of the two JV partners, distinguish it as an Integrated Engineering & Industrial Services Company being fully capable of handling medium to large size projects and achieving par excellence in Engineering Standards. The cumulative experience gained has also elevated the Company to operate at the higher level of turnkey EPC (Engineering, Procurement and Construction) contracts for small-to-medium size projects. 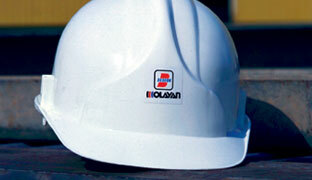 With over 150 million man-hours of construction work executed in industrial and infrastructure projects, Olayan Descon relies on its core team of more than 2000 professionals to provide project management expertise to clients ranging from O&M (Operation & Maintenance) companies to international EPCM (Engineering, Procurement, Construction, Management) contractors. 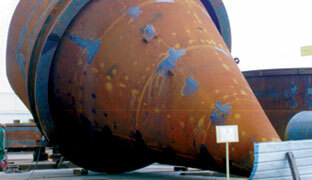 With two ideally located facilities on either side of the Arabian Peninsula, ODICO covers the whole of Saudi Arabia. Both of the facilities are ISO 9001:2008 certified and holds the ASME & NBBI accreditations U, U2, S, A, & PP and R stamps respectively. Olayan Descon’s clientele includes auspicious names such as Saudi Aramco, Aramco Refineries, SABIC, Maaden, SEC, SWCC, Other Petrochemical companies, Marafiq and leading EPC companies from the U.S., Europe, Japan, Korea, and elsewhere.